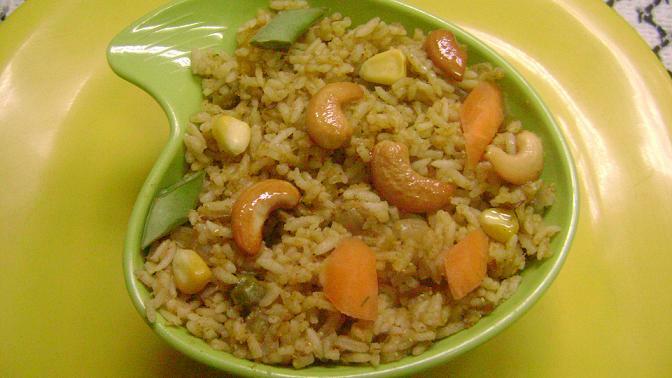 Veg Pulav a north indian vegeterian rice dish is an all time favorite party dish. It is also good for lunch boxes. 1. Wash rice and drain the water and keep it aside for 20 mins. Meanwhile you get the other stuff ready. 2. 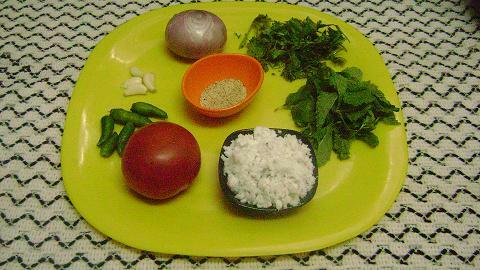 Grind the ingredients of the wet masala to a fine paste. Please make sure you add ginger to the wet masala. 3. Place your pressure cooker/pan put 1 table spoon of oil and 1 tablespoon of ghee in it on a medium flame. 4. 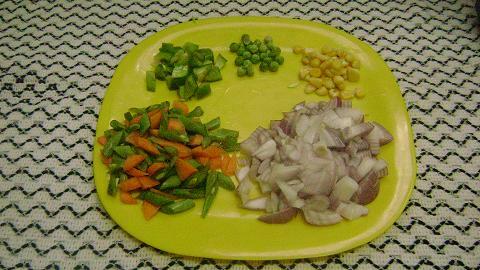 Put jeera, onion and fry till transparent. Then put all the veggies. Fry for 2 more min. 5. Put the wet masala paste and fry for a min. 6. Put the rice and mix well. 7. Finally put Turmeric powder, Chilli powder , garam masala and mix well. 8. Finally put rice and salt. Put water. Water quantity should be exactly double that of rice. In this case put 3 cups of water. Close the lid. Let it whistle for 2 - 3 times. On cooling down your delicious veg pulav is ready to eat. 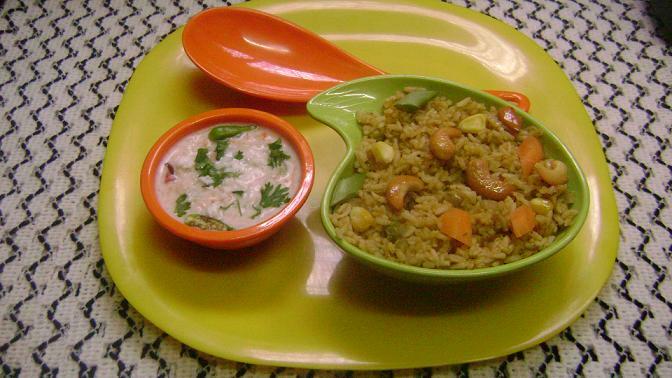 You can also serve this with raita.